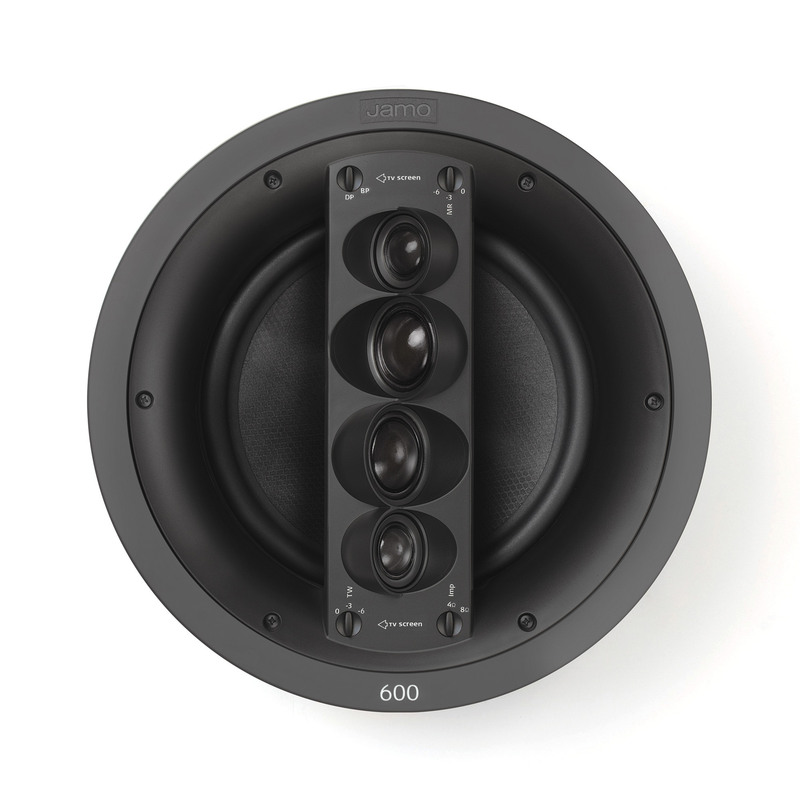 Jamo's 600 line of in-wall and in-ceiling speakers combine durability with truly premium sound. The IC 610 SUR FG II three-way design includes a 10-inch honeycomb woofer for accurate reproduction of the deepest bass notes, two 1.5-inch silk dome midranges and two 1-inch silk dome tweeters with DTT. It's nearly invisible but the great sound and performance of the IC 610 SUR FG II is sure to make an indelible impact. The IC 610 SUR FG II dipolar surround speaker delivers remarkable audio quality from a nearly invisible source. And, these speakers allow you to tailor sound to the room, making the listening experience even more intense. The IC 610 SUR FG II is a 3-way in-ceiling speaker, part of our 600 line. These speakers feature the best materials and the most advanced technologies available. With the IC 610 SUR FG, you can create a great surround sound experience, emanating from the ceiling. The distinctive shape and advanced technology make this speaker the perfect choice for a totally unobtrusive, but first-class home theater solution.